What makes up a great travel blog? To name a few, that would entail quality content, regular updates, great readership engagement, good use of SEO practices, and wide online reach. And when it comes to building your ‘reach’ on the web, it really helps to network effectively. Of course there are millions of groups out there and it can be dizzying to pick out the ‘cream of the crop’; so let me take this chance to lead you to the most effective and supportive ones! If you want to hear advice and tips straight from the ‘pros’ or the travel bloggers, this is the group that you should absolutely be a part of! This is a group that I created after I realized the shortage of Facebook groups out there that generously shares opportunities for every traveler and travel blogger — may they be current or aspiring ones. So along with a travel blogger friend of mine, we put up UTG (Ultimate Travel Group) to act upon those goals. To streamline and maintain an active group, we have even set regular threads every week: introductions, photo tips, traveler meet-ups, blogging resources, traveling opportunities, and giveaways. Nevertheless, anyone is free to post questions and advice at any time! Our group is slowly growing and we’d love for you to be there! 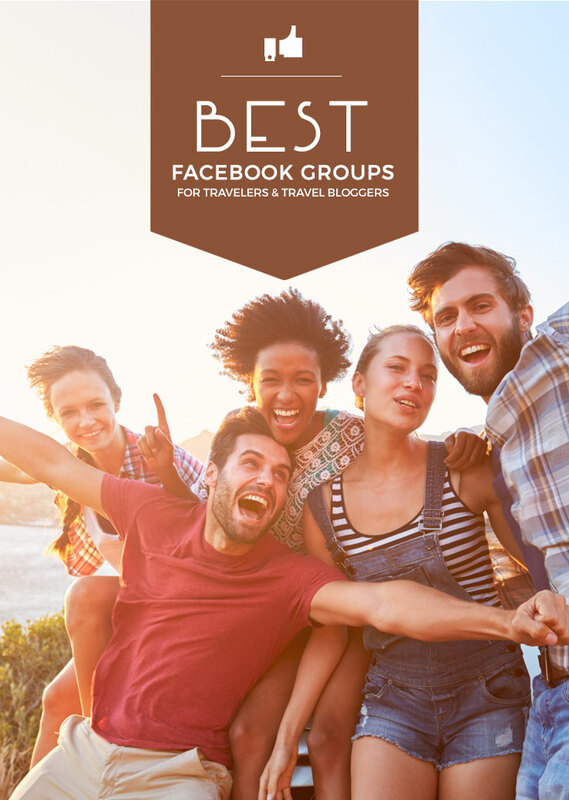 This was one of the first Facebook groups that I joined and a lot of the ‘big’ travel bloggers out there are a part of this community. A place to share ideas, network, learn from each other, and grow, WTWB is a great place! It’s a requirement though that you must be a travel blogger before you are able to join the group; rest assured, no matter if you’re a newbie or an experienced travel blogger, you are totally welcome to join! Same as ‘We Travel We Blog’, Travel Bloggers is also composed of the more established travel bloggers worldwide and only admits travel bloggers. Naturally, the discussions here are composed of feedback and advice about the business side of blogging that includes technical questions, blogging strategy, social media strategy, and so much more. As the name goes, this welcomes small or growing travel bloggers who are trying to make it big in the travel blogging scene. For instance, with the kind of support that the community provides, you’re bound to reach your 1,000 likes for your page! This is a group that’s similar to ‘Travel Blog Chronicles’ but with more members. (No limit of post sharing per day). This is where you can post any article that you may have as long as it is related to Europe! (No limit of post sharing per day). The owners of this page regularly post ‘reciprocal’ threads for every social media platform available in order to boost everyone’s online reach. This means that whenever you participate in the sharing threads, you are expected to share other people’s post too. This is a BIG ‘sisterhood’ group for girl travelers around the globe, and its main goal is promote safety and support for every members’ travels. Similar to ‘Girls Love Travel’, Travelettes is also a BIG group for lady travelers that are looking for tips, advice and inspiration while planning their upcoming travels. Established by a fellow travel blogger, this group is where all traveling girls can connect and talk about their struggles and achievements on the road. If instead, you are looking for a group where you can freely share your travel photos, then this community is exactly what you’re searching for! This group is dedicated to Couchsurfers or backpackers that may need help for accommodations, directions, travel tips, etc. The intention is to help out other backpackers or would-be backpackers who are on their way to wherever they are headed. I know that a lot of you guys who are reading my blog are either my fellow Filipinos or foreign people who are interested in visiting the Philippines. In this group, you will definitely find individuals who are more than willing to guide and welcome you in the country. (BOP also regularly host other events like meet-ups, outreach programs, and the like). I actually don’t recommend hitchiking; but still, I recognize the fact that I have some readers who are looking into doing this for their travels. So if you are looking for a community that can give you the best support for such an activity, make sure that you join this tribe. There are absolutely a LOT of helpful Facebook groups out there that can help you reach your goals, and as per my personal experiences, the ones listed above are truly effective for every kind of traveler and travel blogger! But remember: it’s not all about the ‘taking’, make sure that you do some ‘giving’ too! So be involved, start conversations, and help others if you can. In no time, you will see how being a part of a community does not only boost your influence, but your level of knowledge and friends too! What other travel-related Facebook groups can you recommend? Are you a part of one of the groups above? Let me know!